Actias dulcinea — “Sweetheart moonmoth” | Welcome, visitor! Actias dulcinea, the sweetheart moonmoth, is a species of moon moth from the far east. 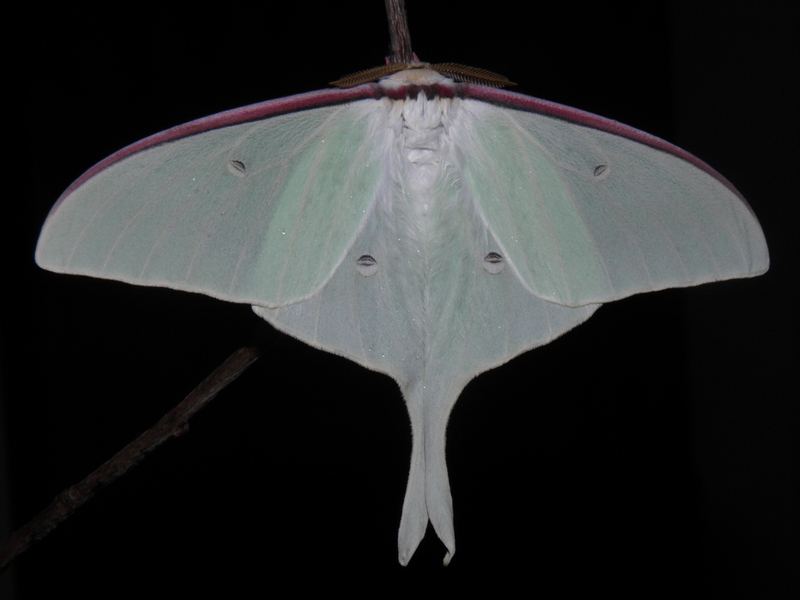 Most people will tell you moon moths are easy to identify. 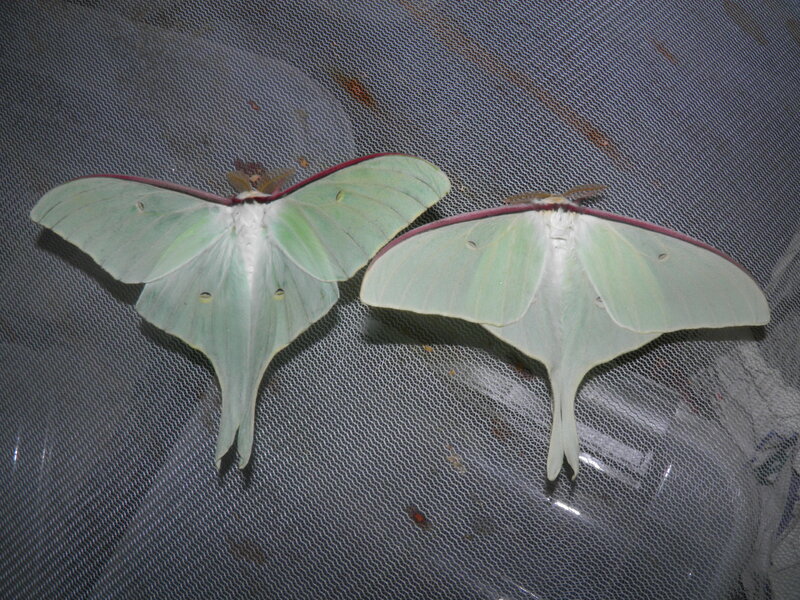 They couldn’t be farther from the truth, if you are talking about the far eastern species of moon moths. Scattered through Russia and Asia are large but isolated populations of similar looking moths that have all slightly diverged. The Far East is a geographical term in English that usually refers to East Asia (including Northeast Asia), the Russian Far East (part of North Asia), and Southeast Asia. 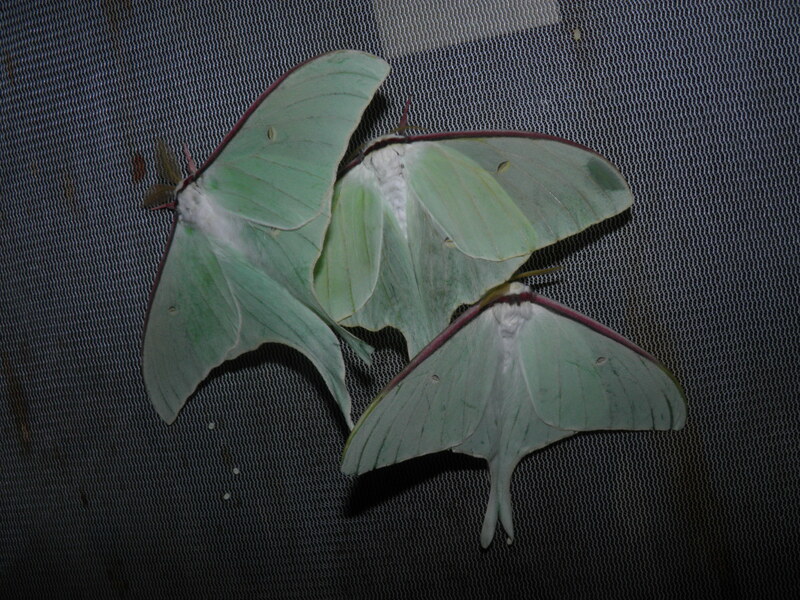 From this similar looking and related species group of moon moths we currently recognise Actias aliena, Actias artemis, Actias gnoma, Actias dulcinea, Actias sjoeqvisti, Actias xenia, Actias selene and Actias ningpoana from these regions (leaving out other types of moon moths that do not belong to this group). Identifying these species has always been a puzzle. 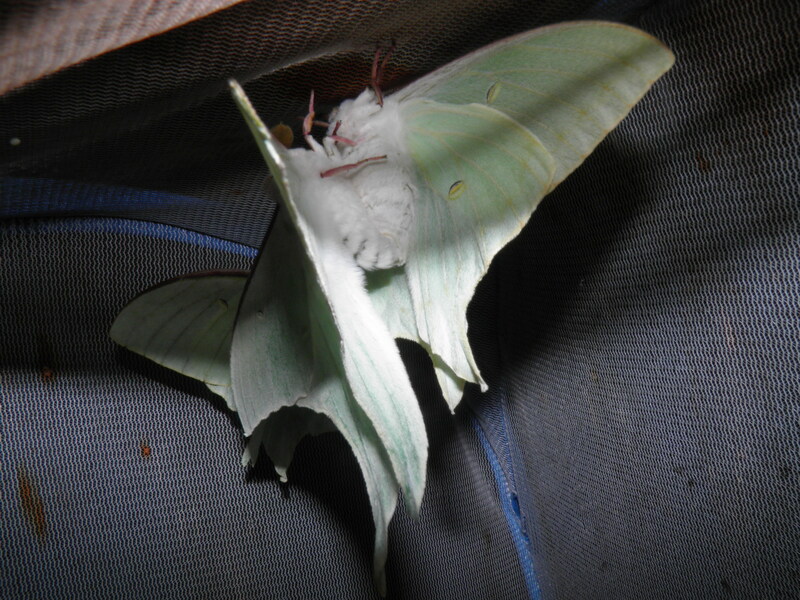 Take the moon moth Actias artemis from the far east. It used to have several subspecies in the far east, such as the Actias artemis sjoeqvisti from Russia that have females with long instead of truncate tails, Actias artemis aliena from Japan and China with grey lines on their wings, and the interesting but different looking version of that moth from Yakushima, Actias artemis yakushimaensis, or Actias artemis xenia? However, it appears that many variations of Actias artemis are now their own species – Actias sjoeqvisti, Actias aliena and Actias xenia are now full species and not considered to be artemis anymore. 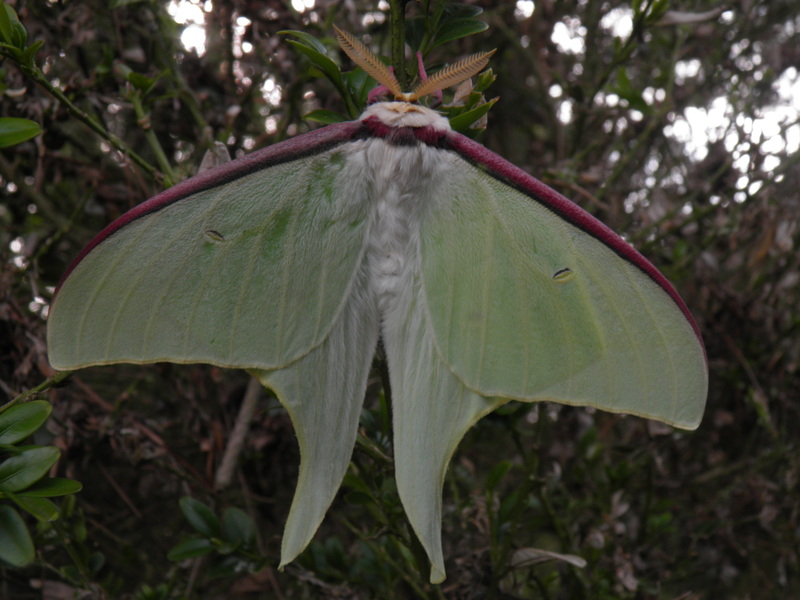 But even these types of moths are not easy to identifiy as they have their own subspecies and regional variations – take Actias aliena yakishimaensis or Actias aliena aliena that are different looking for example. If you think it stops there, the fun just begins because there are multiple similar looking species from other species groups such as Actias gnoma. But wait, some species also have different looking seasonal forms! of the wings is wavy, especially in the hindwing. Tails are short, wide basally in 99; and much longer and more slender in cfcf. has saccular processes shorter than in the related species. caudally widened but membraneous; corpus bursae bears a small signum. including larval chaetotaxy and biology in Russian Primorye, was given in detail by Tschitjakov & Belyaev, 198″ – The Actias L e a c h, 1815, in the Far East: how many species? (Lepidoptera: Saturniidae) by Vadim V. Zolotuhin received 4.XII.2009. Thank you for your research Vadim! I am unsure and skeptical about Actias dulcinae as a species. It may turn out to be just to be another subspecies of artemis. Some records also seem to make no sense. One of my sources reports: “It might be mis-record or misunderstand by Mr. Jordan. 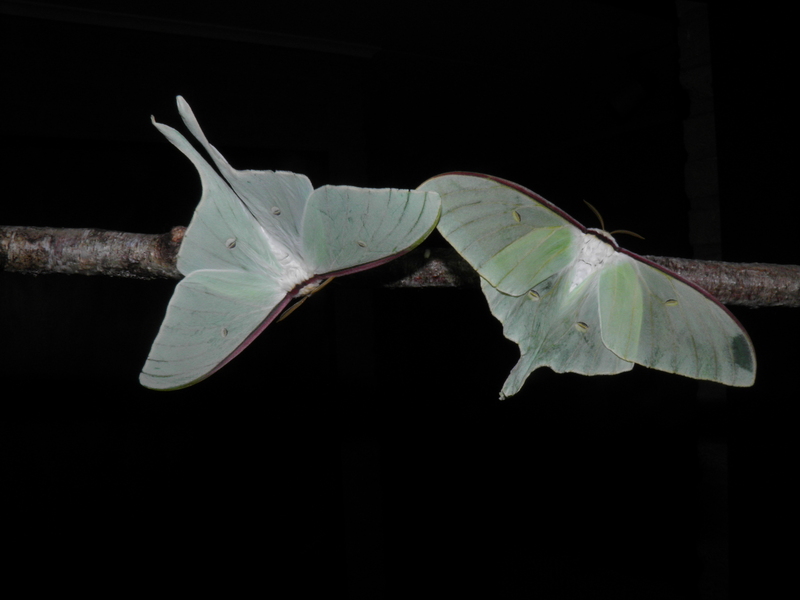 There are no genus Actias living in Liu-Kiu-Insel, and Okinawa islands at present. I am so confusing when I read this paper. 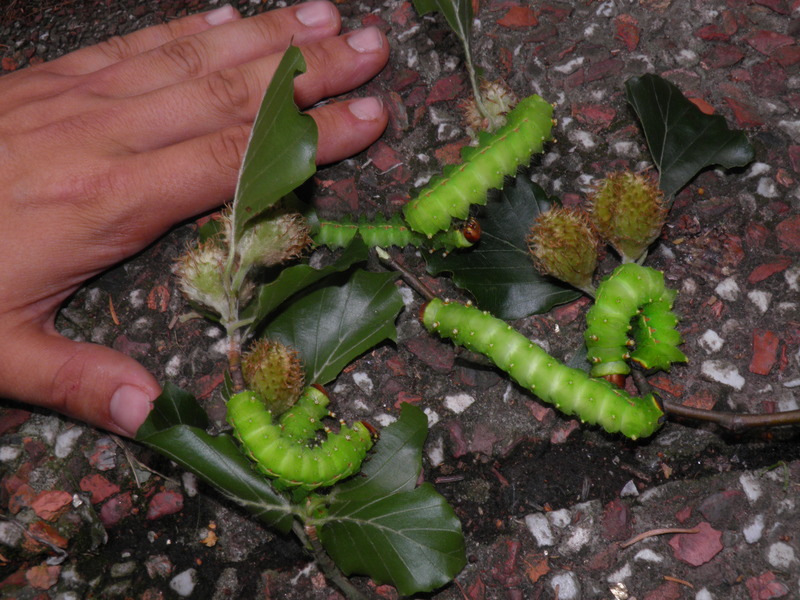 Especially Actias apollo from Hyogo (my living area), which I have never heard before, has been described here. Unfortunately we don’t have enough records, livestock and specimens from China mainland. 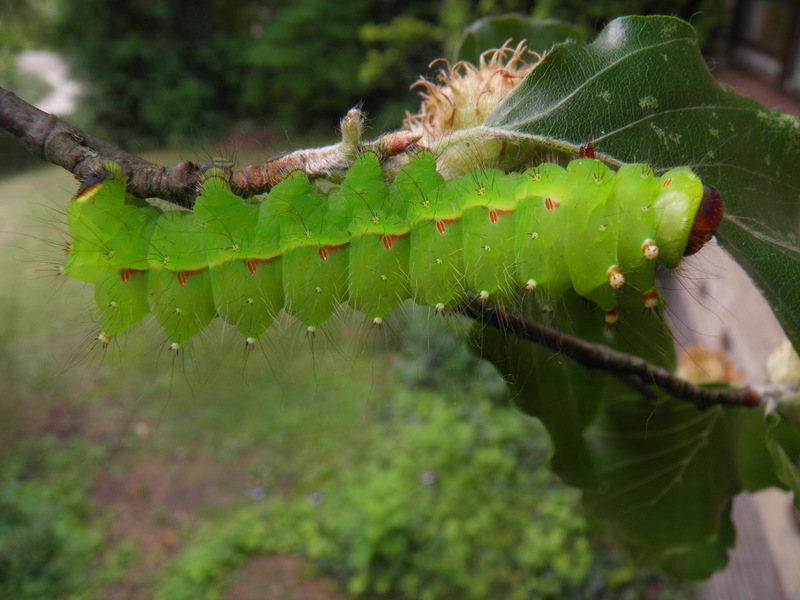 Perhaps we can understand that Actias dulcinae is a kind of sub species of A. altemis in southern China. Alternatively we can analyze DNA homology of local specimen to make them clearly distinguish from each other. But I know it is difficult to correct specimen from each region. There are not enough paper about Far East Actias right now. The wing color of dried specimen is easy to damage by oxidation. So as you said that you can get correct information from the live specimen.” – Thanks for your opinion, mr. Satoshi. Actias dulcinea pair very easily as adults, if they are provided a well-ventilated cage, and seem to be very eager to find a partner. They will pair even in a relatively cold environment – I had pairings in the living room, but also my basement that is cold enough (around 10C-15C) to overwinter pupae of Central American moth species. They do not seem to mind chilly nights. Females will lay 50 to 250 eggs, depending on her vitality and size. Interestingly eggs took 3 weeks to hatch (between 14 and 21 days). This is longer than most species of moon moths, that have eggs that hatch between 10 and 15 days time, although temperature has a lot of influence on their hatching rates aswell. The adults can be quite large. Copulation lasts for a short time and happens at night. The adults do not seem to stay coupled for a day, although they break up when they are finished and stay in eachothers vincinity until the next night. 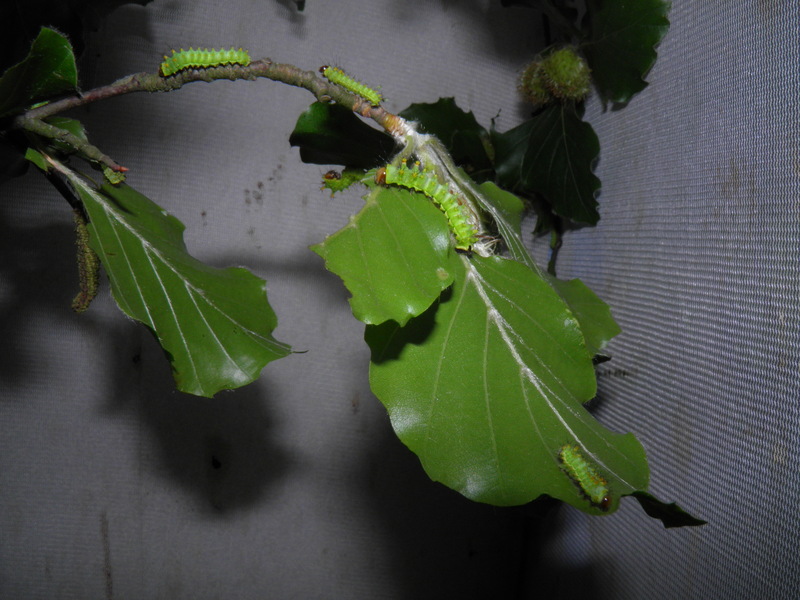 The caterpillars of Actias dulcinea are easily raised in captivity on various host plants if you remember the basics of breeding any type of Saturniidae; keep clean, ventilated, don’t get overconfident and overcrowd them and provide fresh and well hydrated food. 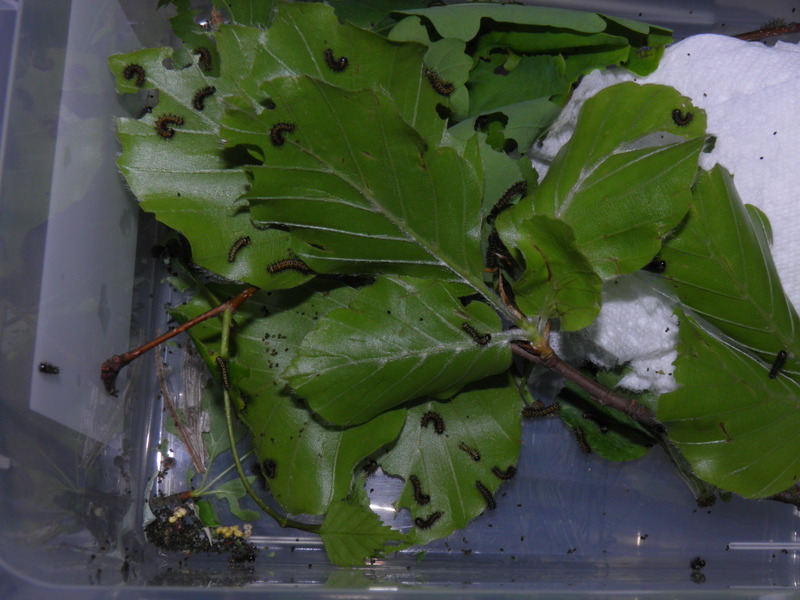 The first three instars can be raised in plastic containers, bigger larvae need a well ventilaged cage, sleeve or box with the lid removed for fresh air. Unlike other moon moths, the first instars are yellow instead of black (in most moon moths L1 is black, L2 is yellow/red and L3 green). 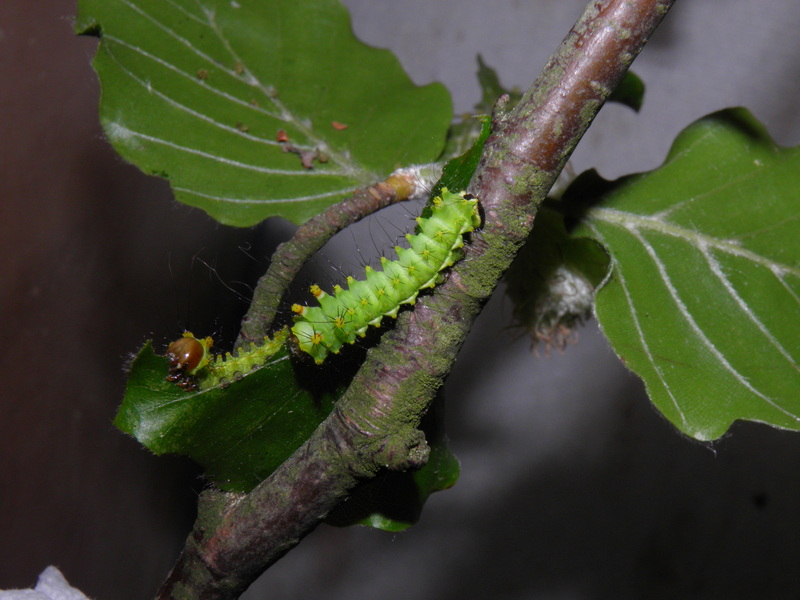 The second instar (L2) is green, instead of yellow or red. The thorax has four protruding pale setae, covered with sharp spines, and hairs. Personally I raise them in cages from the third instar and beyond. 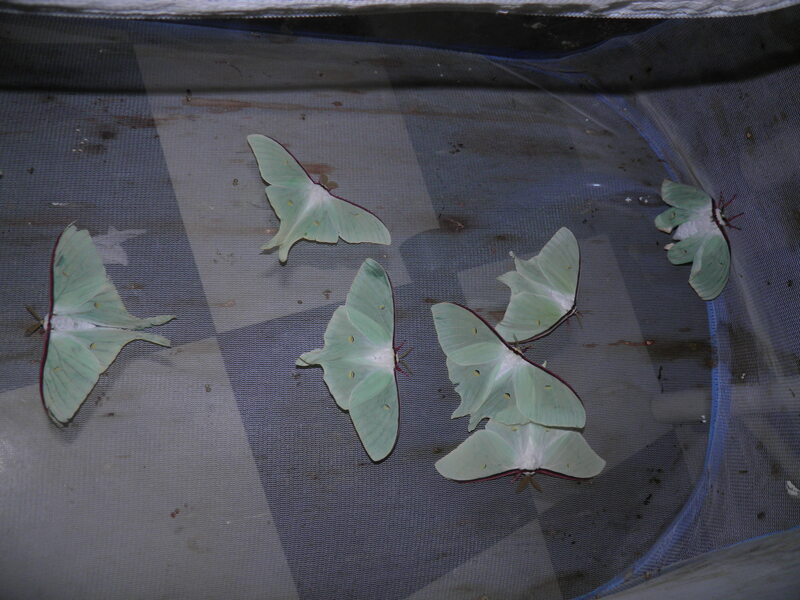 The larvae are solitary like all moon moth species. 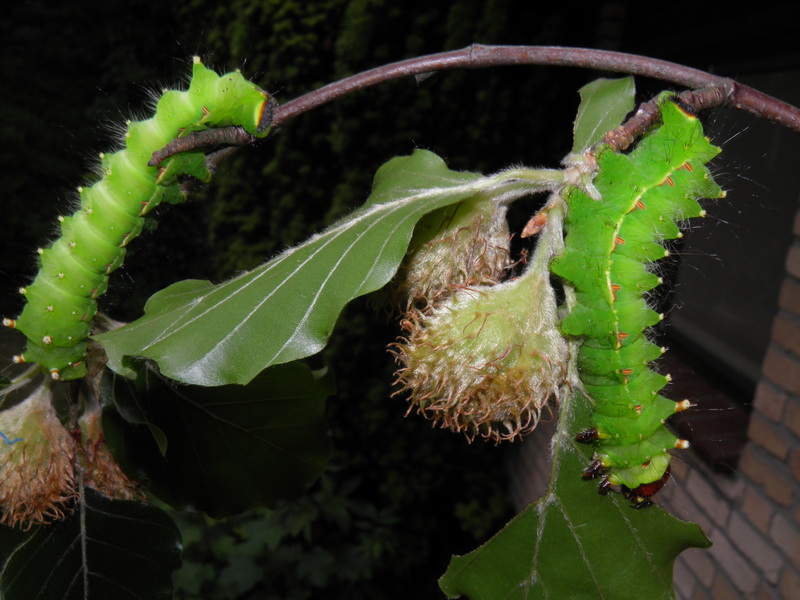 Actias dulcinea can be raised in relatively high densities, if provided enough ventilation, space and hygiëne. This is an extremely easy species to breed in captivity from my personal experience, even easier than the commonly bred A. luna and A. selene, producing many individuals in a small space without much effort or mortality at all. 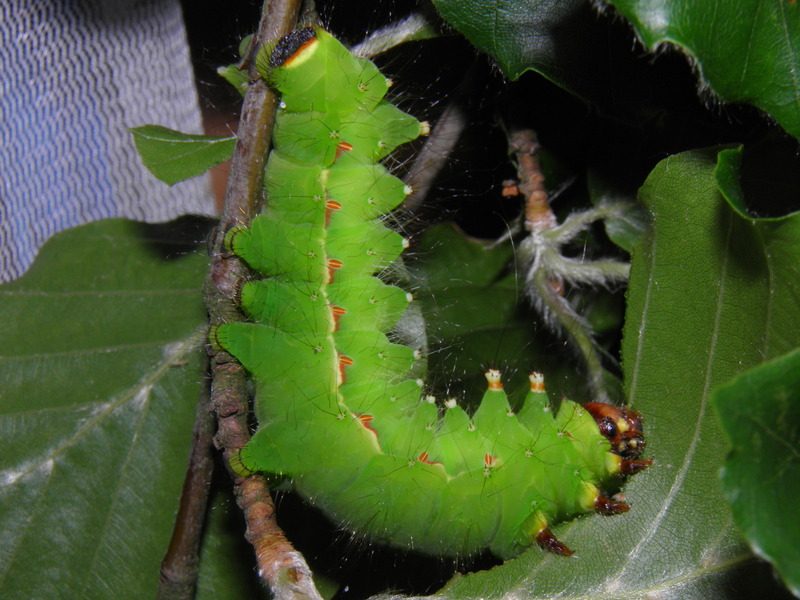 The fully grown larvae can become quite big, and seem like smaller variants of the very large species Actias selene, but have a different colouration. 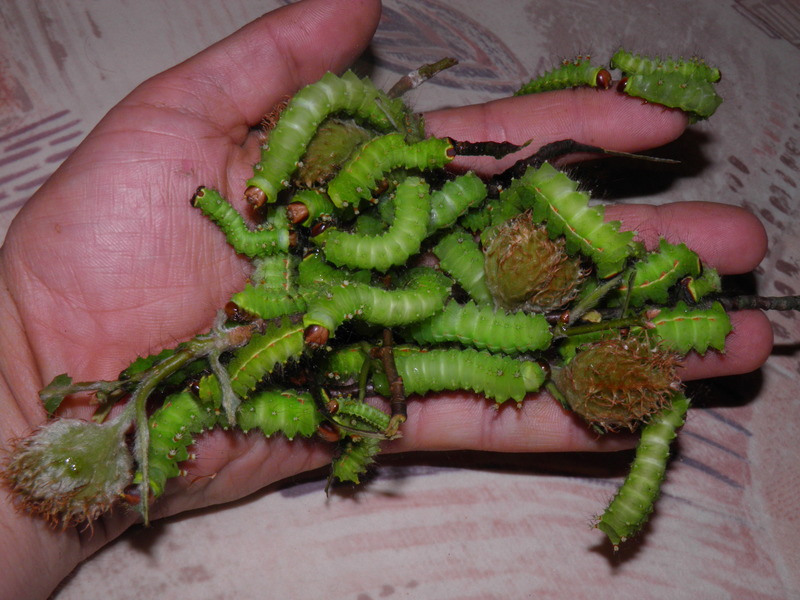 It takes about 1.5 month time to raise them from egg to cocoon if provided adequate conditions. 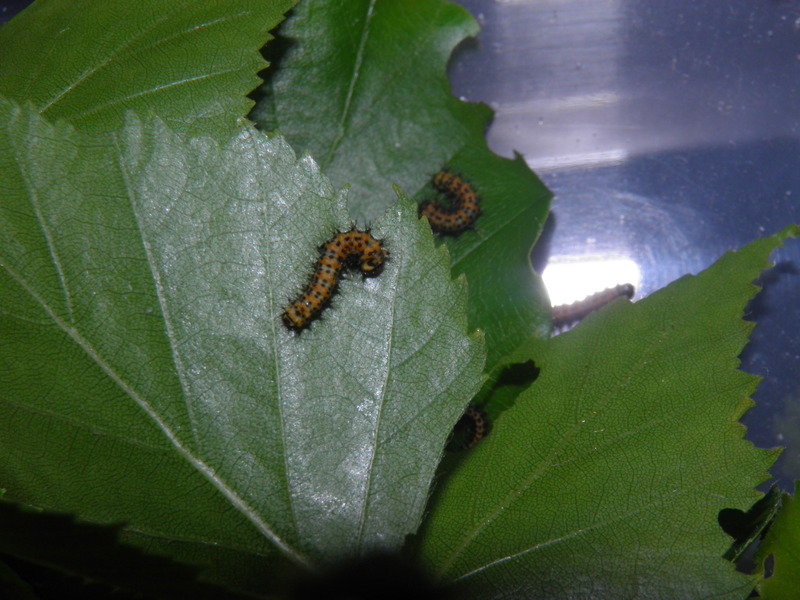 Properly sized larvae can measure up to 8cm in size. They feed on many kinds of deciduous trees including Fagus, Salix, Quercus, Prunus, Alnus, Rosa, Juglans, Acer, Pyrus, Malus, and more. Below some pictures of the fully grown larvae. The caterpillars spin thick and papery brown cocoons between the leaves of their host plants. 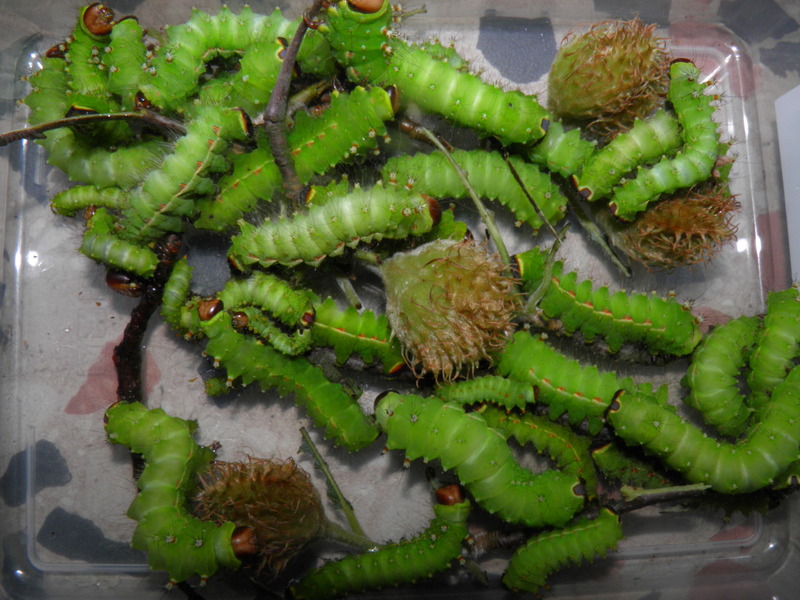 The pupae have the typical yellow crown of crest on their head that can be seen in many moon moth species. 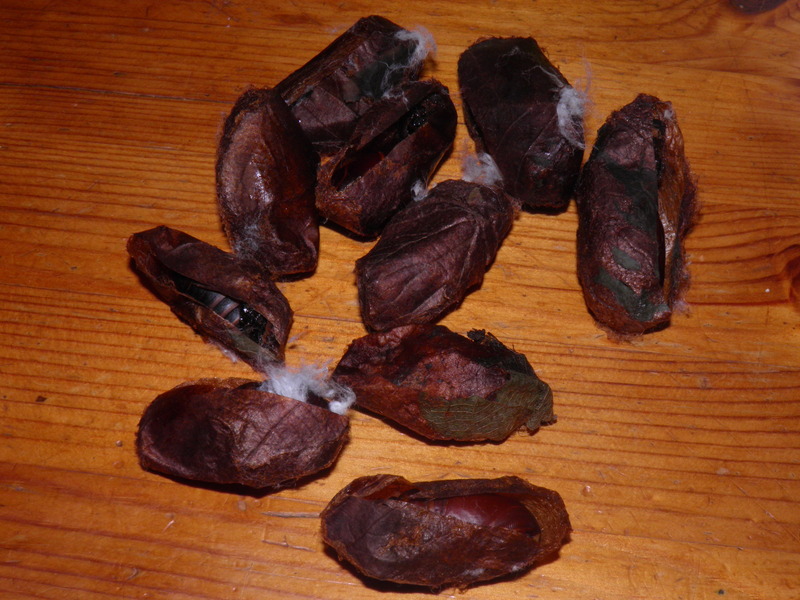 Cocoons can be overwintered outside or in the fridge and are quite cold hardy; in some localities they face though winters. They can be overwintered in a well isolated plastic box, garden shed or cage. They will have the best chances of survival when they are exposed to the elements, but sheltered from only the harshest conditions (full sunlight, rain, frost). A well isolated in an unheated garden shed, unheated basement our outside should suffice. 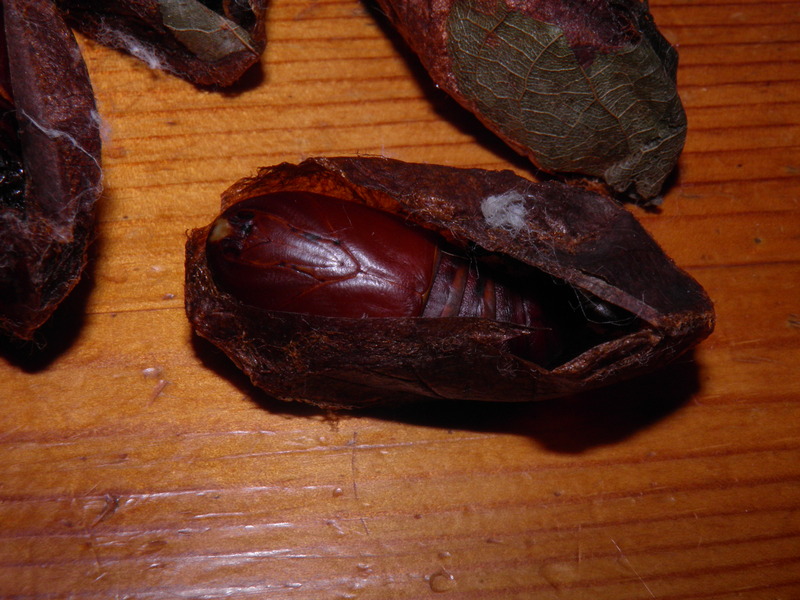 Overwintering cocoons need to experience the cold of the winter in order to complete their development, and should be warmed up in spring. Once warmed up, the moths will start to develop and are quite eager to hatch early in the year. The adults seem to have variable eyespots, ranging from pale white to yellow. If touched or handles, they will drop to the floor and flop around in order to escape from predators. Females will release pheromone at night and call in males. Males are smaller, have more falcate and slender wings while females are larger, have more wing surface area and more rounded wings. Yellow eyed and white eyed (see: ocelli) variant.